If you're a fan of mechs, one title you should definitely check out is Archangel: Hellfire. Developed by Skydance Interactive, Archangel: Hellfire VR gives players the unique opportunity to pilot powerful mechs and lend a hand in the conflict between the HUMNX and the US Free Forces. Archangel: Hellfire VR first released last year as an exclusively singleplayer experience, but recently Skydance has added PvP and multiplayer to the mech fray. No matter how you want to take control of your mech, Archangel: Hellfire VR gives you the freedom needed to truly immerse yourself in the experience. Aside from the exciting gameplay features, Archangel: Hellfire VR boasts a diverse cast of mechs with an array of detailed design elements. 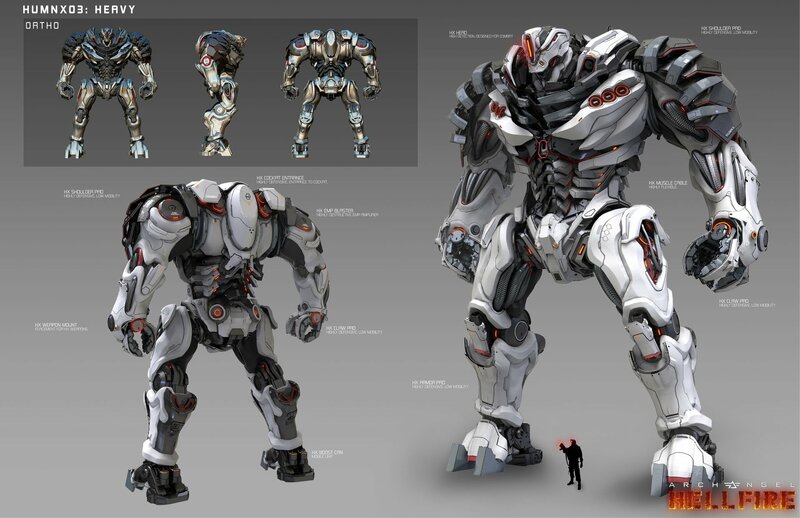 Want to know more about how the team at Skydance breathed life into these mechs? Check out the latest in-depth video on Archangel: Hellfire VR and the type of mechs you'll encounter in the game! "I think the mech captures an almost archetypal idea in the human mind of how our technology makes us something greater than ourselves," notes Peter Akemann, President of Skydance. Throughout history, humans have been fascinated by technology and how technology can be used to improve our lives. Akemann's quote taps into the core idea of how, unlike other pieces of tech, mechs really embody the human form. They envelop us, protect us, and help us reach heights we never thought possible. When it comes to some of the most influential mech designs, the Skydance crew cites mechs from series such as Zone of the Enders, MechWarrior, and even BattleTech. While playing through Archangel: Hellfire, you can really get a sense of these inspirational mechs through the game's mech combat and its visual elements, like each mech's HUD. When it comes to your HUD, the mechs of Archangel have four different sliders that can be adjusted as needed. These include control over weapons, shield, power, and energy. You're able to tailor these to your play style and where you are in the game. For example, if you're in heated combat, you can increase priority to your weapons and shield. Then, when things calm down, you can balance out your systems and spread priority evenly across energy, power, shield, and weapons. This adds a nice element of strategy to the mix. Where some mechs let you stomp through a map destroying every enemy in sight, Archangel requires you to think tectically about how best to utilize your mech of choice. We prefer this type of mech combat, as it drives home the fact that no matter how impressive mechs are, they're still pieces of human technology. This technology is designed not just to aid us in conflict, but to act as a sort of second skin that seamlessly meshes with our actions both in combat and out of combat. For more on Archangel: Hellfire, be sure to check out some of our other features, and recap the game's mech inspirations in the video above! This post is sponsored by Skydance Interactive.